Déjà vu for Draymond: How will Green respond in Game 6 return? Draymond Green has been through this before. 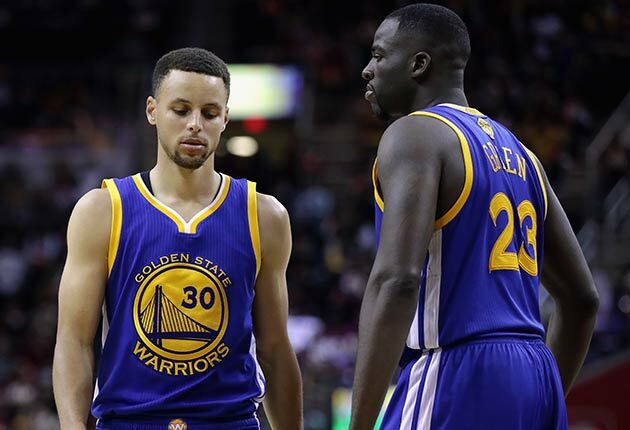 How will the Warriors star respond to a hostile crowd in Game 6? The Warriors' season hinges on that question. CLEVELAND — There’s no preparation for what Draymond Green is about to face in Game 6 of the NBA Finals: hours of boos from a hostile road crowd, a whirlwind of pre-game emotions, a pair of opposing superstars coming off strong performances and a squad full of teammates that will be turning to him to make things right on the defensive end. Just three weeks ago, Green had the perfect dry run for Thursday’s Game 6 against the Cavaliers. After kicking Oklahoma City center Steven Adams below the belt in Game 3 of the West finals, Green spent an anxious off day wondering whether he would be suspended for Game 4. Once he was cleared, Green had to face an angry Chesapeake Energy Arena crowd that booed him during player introductions and throughout the game. On the court, Green had to help rally a Golden State defense that gave up 33 points to Kevin Durant and 30 to Russell Westbrook in a blowout Game 3 loss. So how did he respond? Well, Green frankly looked overwhelmed in Game 4, shooting 1-of-7 from the field and committing six turnovers in another lopsided defeat. The NBA’s plus-minus king posted a minus-30 in 37 minutes, the second-worst mark of his entire career (his worst came the game before). Now it’s déjà vu time. Green’s below-the-belt swipe at LeBron James in Game 4 of the Finals earned him a suspension for Game 5, forcing him to sweat out the NBA’s investigation and then sit through the agonizing double-digit home loss to Cleveland in which the Warriors’ defense conceded 82 combined points to James and Kyrie Irving. Now, Green is tasked with restoring order to that defense without the help of center Andrew Bogut, who was lost for the balance of the Finals with a knee injury. Not to mention: The Quicken Loans Arena crowd will turn him into Public Enemy No. 1, hoping to throw him off his game and goad him into another flagrant foul, which would trigger an automatic suspension for Game 7. There’s simply no way to predict this with any confidence: Will Green build on his experience in Oklahoma City, weather the storm in Cleveland, and help lead the Warriors to their second straight title? Or will he help send the series back to Oracle Arena for Game 7 by spending the night inside of his own head like he did during Game 4 against the Thunder? Wednesday’s practice offered no major hints either way, as Green remained fairly buttoned up as he addressed dozens of reporters for the first time since he was suspended. Green, of course, spent Monday night next door to Oracle Arena at the Oakland Athletics game. He watched as James and Irving scored 41 points each, as the Warriors’ offense managed just 13 points in the fourth quarter, and as the Warriors’ defense struggled to get stops when it went to a super-small look with Harrison Barnes at center. Both sides on the “hero to villain” spectrum are in play. If Green returns in triumphant fashion, he has a strong case for Finals MVP. In the first four games, he’s averaged 14.8 PPG, 9.3 RPG, 5.8 APG, 1.8 SPG and 1.3 BPG while posting a 100.2 defensive rating, the best among Warriors’ top seven players. If Green falls flat and Golden State loses, his suspension will rightfully be viewed as the major turning point of a series that the Warriors should have won in five games. He will undoubtedly find himself at the center of the media storm, again, heading into Game 7, with the full pressure of validating a 73-win season on his shoulders. While the obvious fear is that Green will overcompensate for his Game 5 absence and find himself in foul trouble (or worse), his coach and teammates spent Wednesday expressing full faith in their All-Star forward. Warriors guard Klay Thompson said that Green expressed remorse about the suspension when he spoke to his teammates after Game 5. The next question: Who, exactly, will be on the other end of the line? Kerr will be forced to change his starting lineup again in the wake of Bogut’s injury. As always, he declined to reveal his intentions at practice Wednesday. But he has two basic philosophical choices: stay big early by starting one of his back-up centers, Festus Ezeli or Anderson Varejao, or go small and start Green at center with Andre Iguodala joining the lineup. In truth, the loss of Bogut isn’t backbreaking, and exchanging Bogut for Green (from Game 5 to 6) is a major win for the Warriors. While Bogut had some nice moments in Games 1 and 2, the Cavaliers have outscored the Warriors by 25 points in his 60 minutes on the court during the Finals, by far the worst mark of any Golden State player. He’s done well as a back-line defender, but Kerr hasn’t used him much with both teams in this this series going small with such regularity. Ezeli and Varejao, similarly, have only appeared in light doses through five games. From a match-up standpoint, Ezeli makes more sense as a starter than Varejao because he fits a Bogut-like profile on defense with less playmaking and a little more finishing on offense. Even so, Kerr should keep this simple and reach into his sleeve, finally, to pull out his ace: his small ball lineup of Curry, Thompson, Iguodala, Barnes and Green. That group started the last three games of the 2015 Finals against the Cavaliers, all wins. It has also posted a +14.1 net rating in 29 minutes together during the 2016 Finals, far outperforming Golden State’s starting lineup with Bogut (-19.7 in 35 minutes). Cavaliers coach Tyronn Lue, for his part, seems to be bracing for heavy doses of the Warriors’ so-called “Death Lineup” in Game 6. 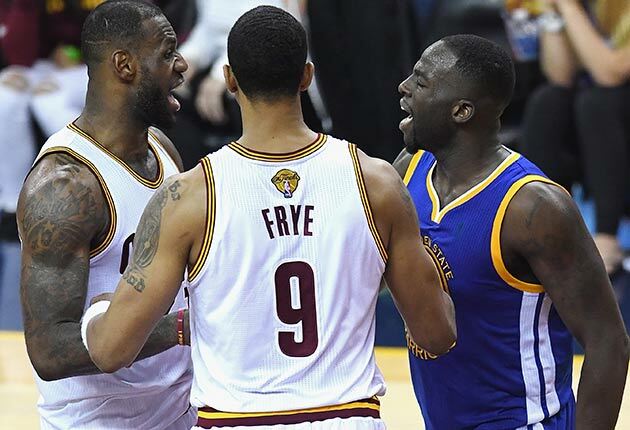 “We know that's their money lineup, when they play small with Draymond at the five,” Lue said. Taken together, that could be exactly the type of structure that helps Green stabilize in what will surely be an adverse environment. Now this great team, on the doorstep of a title, waits to see which Green shows up once the door opens on Thursday night.